International Women’s Day always leaves me feeling uplifted about the steps that have been made towards gender equality and the examples of women supporting women. As journalist Dolly Alderton tweeted, ‘Tonight a female friend told me she loved international women’s day because people kept wishing her a happy one and it reminded her of her birthday.’ One month on however, I have been brought back down to earth, in part through reading Caroline Criado-Perez’s book Invisible Women: Exposing Data Bias in a World Designed for Men. 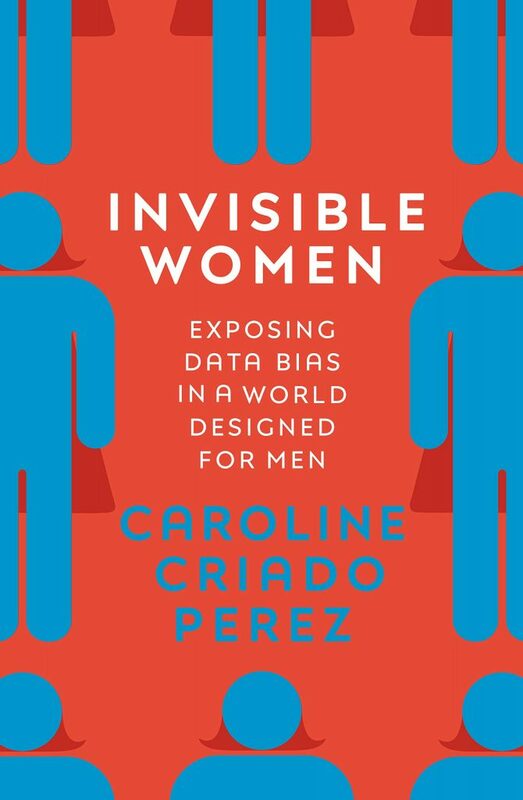 Criado-Perez’s book is focused on the data bias against women across all sorts of areas, from town planning to medicine. In many cases this is not the result of deliberate discrimination, but instead comes from treating ‘male’ as the default. One striking example of this is heart attacks. Heart attack symptoms display differently between men and women, but women’s symptoms are seen as ‘atypical’, despite women making up 51% of the UK’s population. This has serious consequences, including late diagnosis. The book is a thorough analysis of a wide range of areas, including a phenomenal list of references, and I would recommend reading it. As HEPI is a higher education thinktank, I focus here on her findings on the gender bias of data within universities. As a sector, we think of ourselves as being both evidence-based and progressive. Women make up the majority of staff (54%) and students (57%). However Criado-Perez’s book highlights some concerning evidence on the gender bias of data in higher education, particularly that related to academia. One key area is women’s participation in the workforce, how this relates to women’s ability to participate in research. She cites studies which find, around the world, female students and academics are less likely than comparable male candidates to ‘receive funding, be granted meetings with professors, be offered mentoring, or even to get the job’. Despite the plentiful evidence she cites of a lack of meritocracy within the system, she says universities continue to treat students and academics as is they are ‘operating on a level playing field’. Women suffer from male default thinking, meaning when co-authored research is published, the lead author is routinely assumed to be the man, when the woman is the lead author, hindering women’s ability to progress. These limits, and the others she cites in the book, only go on to contribute to the issue of gender-biased data: female academics are more likely to challenge male-default analysis in research. It’s a self-perpetuating cycle. Criado-Perez also highlights how feedback biases men and is particularly scathing about the Teaching Excellence Framework (TEF), stating that ‘women can be expected to be penalised in this Excellent Teaching new world’. She criticises the way teaching evaluation (specifically the National Student Survey in relation to the TEF) is used as if it is an objective measure, when evidence shows them to be ‘biased against female instructors by an amount that is large and statistically significant’. Men are more likely to be described as ‘intelligent’ or a ‘genius’ whereas women are more likely to be described as ‘mean’. This is despite the fact Criado-Perez finds evidence to show students are more likely to demand more from female academics, turning to them for both emotional and academic support including seeking extensions and grade boosts. It is unlikely that either of these issues are entirely new to most readers of this blog. Nevertheless, Criado-Perez has compiled the comprehensive evidence supporting their existence, and demonstrates their existence worldwide. Despite us being well aware of the issues, little has been done. For action to be taken, books like this need to be read as broadly as possible, and importantly not just by women. Criado-Perez has called for all MPs to read it. I would urge the higher education minister, management across the Office for Students (where the senior leadership team is 57% male) and Vice Chancellors (71% male) also to read it, to truly understand the scale of the challenge still ahead of us.